"One of the most unique aspects of ECE at Georgia Tech is its flexibility, both geographically and in coursework. I am pursuing graduate studies (M.S.) 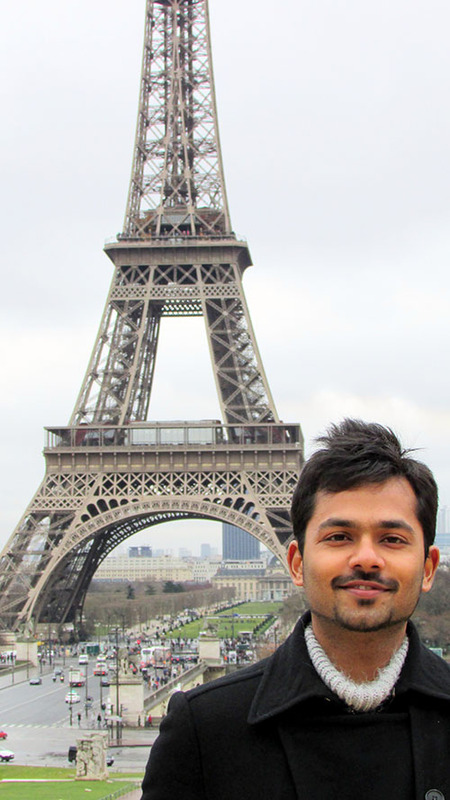 at its European Campus, Georgia Tech Lorraine in France, with coursework in data analytics and microelectronics. No other top university offers a program like this at the graduate level that allows you to explore Europe and simultaneously work towards a degree from one of the world's best engineering schools. Even in Europe, GT is well recognized in the industry and it speaks volumes of its international presence and reputation." As one of the largest units within the College of Engineering and one of the largest individual schools at Georgia Tech, the School of ECE is vital not only to Georgia Tech’s reputation as one of the nation's top universities, but also as the Institute expands its domestic and global connections in research, education, and economic development. 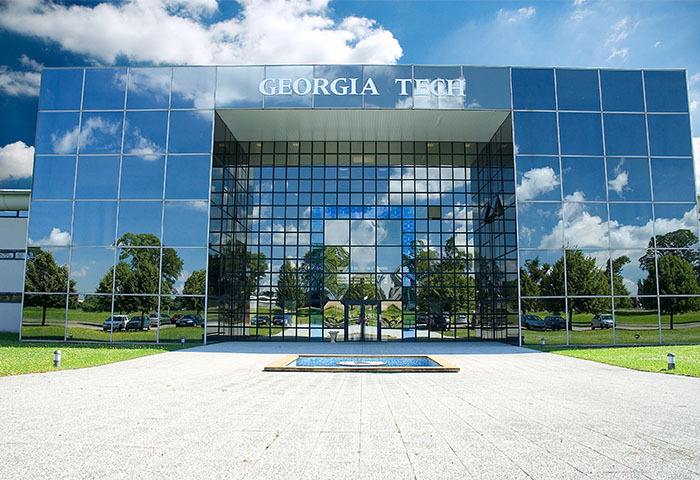 Currently, ECE has faculty and students at three Georgia Tech campuses around the world, in addition to its home base at Georgia Tech in Atlanta. 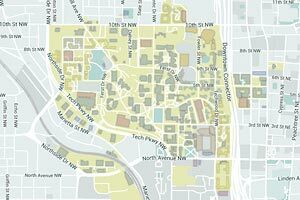 This section briefly describes each location and provides ECE faculty contacts and links for campus websites. With a presence in these strategic areas, ECE continues its quest to lead in developing new and relevant technologies; fostering a collaborative and collegial environment for faculty and staff; and most importantly, graduating students with the technical and professional skills and flexibility to adapt to the increasingly global, high-tech marketplace. Georgia Tech is one of the nation's top research universities, distinguished by its commitment to improving the human condition through advanced science and technology. 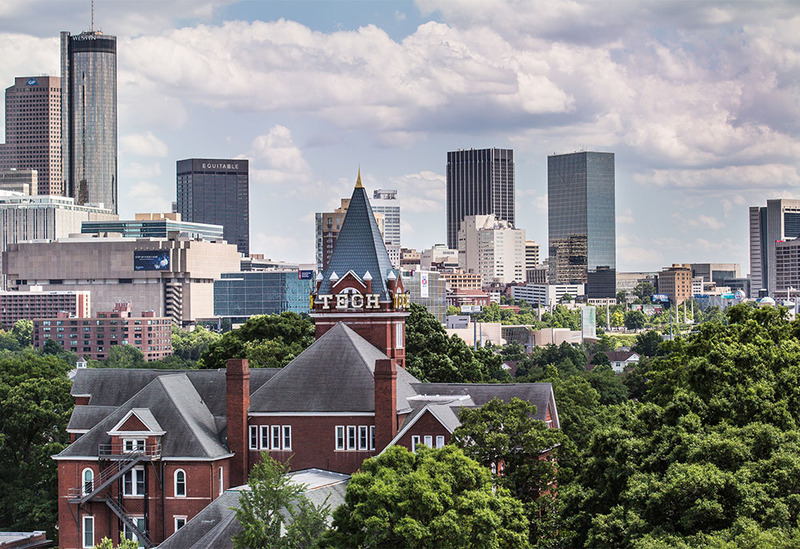 The campus occupies 400 acres in the heart of the city of Atlanta, where over 25,000 undergraduate and graduate students pursue a focused, technologically based education. Accredited by the Southern Association of Colleges and Schools (SACS), the Institute offers many nationally recognized, top-ranked programs. Undergraduate and graduate degrees are offered in the Colleges of Architecture, Engineering, Sciences, Computing, the Scheller College of Business, and the Ivan Allen College of Liberal Arts. The School of Electrical and Computer Engineering (ECE) is the largest of eight schools in the College of Engineering and one of the largest schools at Georgia Tech. In addition to its headquarters in Atlanta, the scope of ECE extends into Europe via Georgia Tech Lorraine and into China with Georgia Tech Shenzhen. 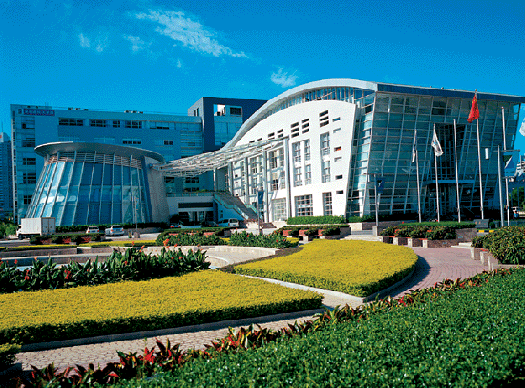 Opened in August 2014, Georgia Tech Shenzhen, ECE's newest international presence, offers the master's program at Shenzhen Virtual University Park and promotes industry interactions thanks to its central location within the Shenzhen High-Tech Industry Park. Over 110 faculty members are employed with ECE. On the Atlanta campus, ECE faculty, staff, and students are housed in 10 different buildings on the Georgia Tech campus and also at the National Electric Energy Testing Research and Applications Center in Forest Park, Ga.
For more information, please contact Andrea Gappell, Marketing and Recruiting, Georgia Tech-Lorraine, at 404-385-1865, or visit the Georgia Tech-Lorraine website. Beginning in fall 2014, qualified students from China, the U.S., and any other countries can pursue the master’s degree in ECE from Georgia Tech in Shenzhen, China. Selected Georgia Tech graduate courses are taught by Georgia Tech faculty on rotational assignment to Shenzhen during the spring, summer, and fall semesters of each year. Currently enrolled Georgia Tech students can apply to switch campus to Shenzhen during any semester for a study abroad experience. Georgia Tech Shenzhen is located inside the Shenzhen High-Tech Industry Park with easy access to hundreds of companies. Assistance is available for students to pursue co-op or internship opportunities with multinational companies in China, following a semester of study at Georgia Tech Shenzhen. For more information about Georgia Tech Shenzhen, contact G. Tong Zhou, director of Georgia Tech Shenzhen, or visit the Georgia Tech Shenzhen website. The Shenzhen Virtual University Park (SZVUP) main building, pictured right, is home to Georgia Tech Shenzhen. The SZVUP is located inside the Shenzhen High-Tech Industry Park, which occupies 4.5 square miles and contributes to approximately one-sixth of the city’s industrial output.